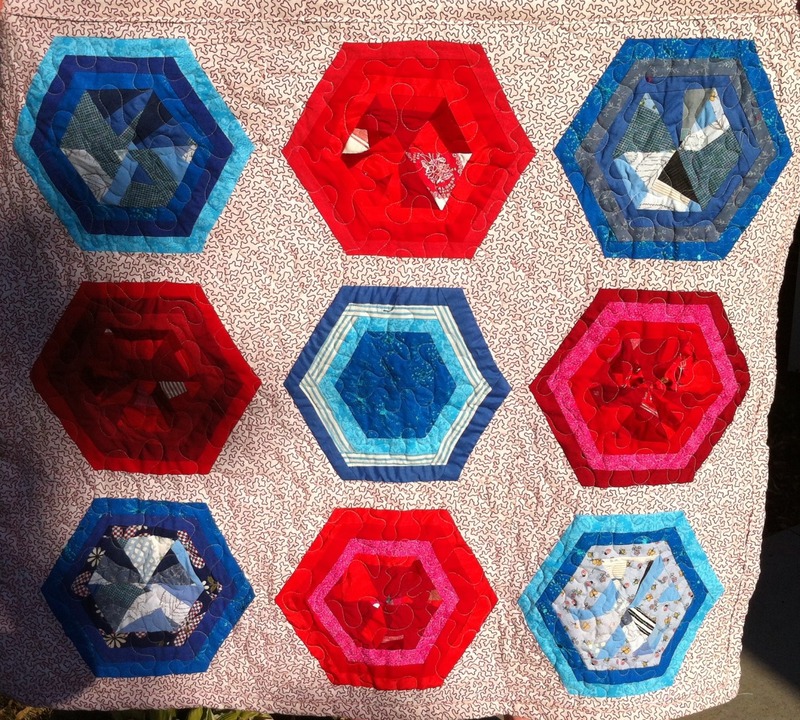 Quilting is a great way to use up scraps left over from other sewing projects. But no matter how efficiently I cut my fabrics, I am always left with lots of tiny pieces that are too small for piecing into another pattern. I used to save these tiny scraps to use as batting in dolls and fabric ornaments, but they only make appropriate stuffing when I want the final product to be heavier and stiffer than it would be if I had used regular batting. I place one set of sewn together scraps on top of another set of sewn together scraps, wrong sides facing out. … then sew the straight edges together and press flat with my fingers or an iron, depending how fussy the fabric is being. … or just keep going if you are in the mood. I stash my scraps in plastic bags according to color family, then sew the pieces together when the mood strikes. I do not pay attention to bias when piecing the scraps together. I realize that this could theoretically cause problems, but the overall effect of having the bias move in all different directions simultaneously is a fairly stable piece of fabric. Usually when you are piecing a quilt together, you don’t want to iron at each step because that can stretch out the fabric in weird ways and make it harder for you to match corners. Since I’m not trying to line anything up perfectly for this, I actually prefer to iron frequently throughout the piecing process.